From brie to cheddar, we tried them all. Having a good cheese board is essential to hosting any great party and the first step is having the best cheeses available. It’s time to make cheese boards grate again, people! Trader Joe’s is known for its extensive (and amazing) cheese selection, so we figured its the first place to stop before constructing a cheese board. But there is a lot to choose from. To figure out the best cheese Trader Joe’s offers, we took on the incredibly taxing task of trying 14 of its most popular cheeses for the good of the public. 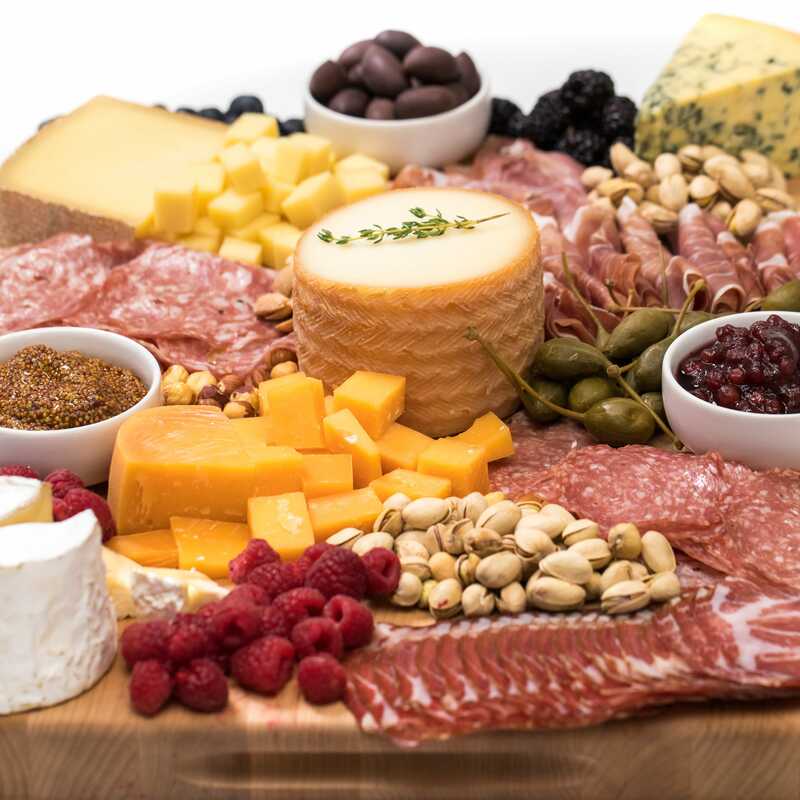 With a variety of different palettes (and amateur cheese connoisseurs) in the room, we think we got a good handle of what the average cheese plate eater would enjoy. Here is Reviewed’s (un)official list of best Trader Joe’s cheeses. You won’t brie-lieve which cheese won! Unexpected Cheddar is literally the best cheddar you can get at Trader Joe's—or anywhere for that matter. Contrary to what the name suggests, we completely expected Unexpected Cheddar to be a top choice since it's a TJs favorite and, I mean, it's cheddar. With (spoiler alert!) hints of parmesan, this aged cheddar is a universal favorite. It has a nice, sharp flavor that tastes absolutely delicious on its own but also pairs nicely with a cracker or toast point. Show up to the next house party you’re invited to with this cheese and you will definitely be the best guest. This dessert-like cheese was a favorite among our testers. 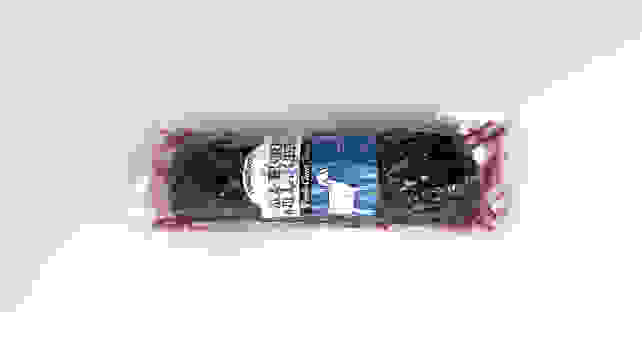 Most of our testers already had a special place in their hearts for Trader Joe’s Cranberry Chevre, but this blueberry version received high marks for its sweet vanilla taste and the combination of texture and flavor. It’s more of a “dessert cheese,” but the creaminess pairs really well with a salty cracker. Most of our testers loved this sweet treat, but it was obviously not a big hit among those who already had an aversion to fruit-cheese blends. This burrata was hands-down our favorite of the soft cheeses we tried. Burrata is a beloved soft cheese with its neutral flavor and creamy center, so it’s no surprise that the Trader Joe’s brand came so close to the runner-up. Our testers loved that it tasted so fresh and we think it would go great with crackers or on a salad. One reviewer even claimed they would “sell their soul” for this cheese. Our extensive testing of all of the Trader Joe's cheeses. 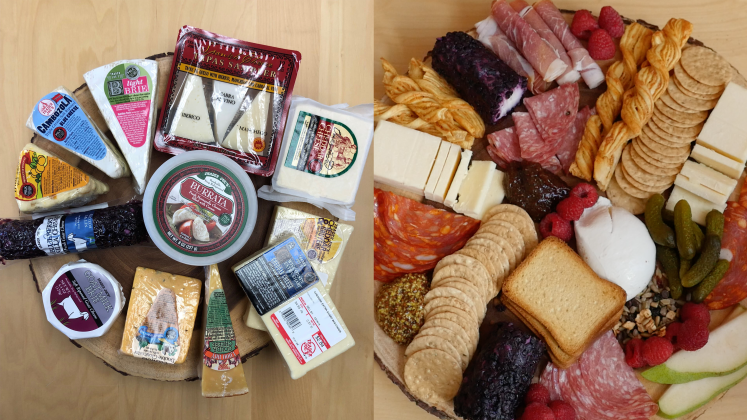 We put eight Reviewed employees to the tough task of trying 14 different Trader Joe’s cheeses. We made sure to incorporate a variety of hard and soft cheeses, and chose popular cheeses from the vast selection at Trader Joe’s. Each cheese was randomly numbered for a blind taste test (though if you knew a thing or two about cheeses, you could probably guess the variety). Testing was done in one day and reviewers had the option of eating the cheeses with crackers, but they were required to do so with all cheeses if they chose that route. 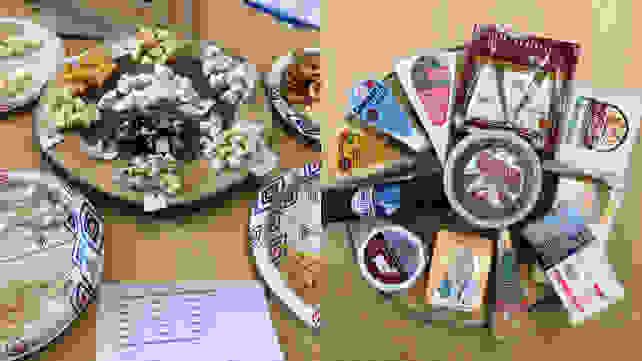 Everyone ranked each cheese on a scale of 1 to 5 and provided tasting notes for their favorites and least favorites. We then averaged all the scores from all eight different palettes to determine the winners and losers. But at the end of the day, everyone who eats cheese (for testing or for pleasure) is a winner in our book. This mix of two popular kinds of cheese gives a nice mild flavor that most testers liked. There’s nothing particularly exciting about this hard cheese, but no one would be opposed to seeing on a cheese board. TL;DR: it’s a safe bet for all palettes. This is a fine, run-of-the-mill white cheddar. Compared to the Unexpected Cheddar it was pretty basic, which is why it appeared lower on the list. It goes to show that even a less impressive cheddar still makes a good choice for any cheese board. This hard cheese gets its surprising nutty flavor by enduring a rough 1,000-day maturation, but it didn’t appeal to all of our testers. As a harder gouda, this cheese will definitely mix up your cheese board and wow some of the simple-minded cheese eaters in your life. This cheese has some pizazz that may not appeal to every palette. With onions and chives, its more savory flavor goes better in sandwiches and eggs than on its own. Some testers were also put off by how moldy it looked, but it does add great texture and color to a more adventurous cheese board. This Spanish cheese has quite a neutral taste and didn’t really wow any of our testers, but it also didn’t disappoint anyone. All and all, it’s a fine cheese. Brie is really hit or miss. Some testers loathe the soft cheese and hate the rind, which is why this cheese ranked lower on our list. Others liked its smooth, neutral taste. But it was the favorite of the two bries that we tried because it was a bit harder of a brie. This is another neutral cheese. Most testers didn’t really mind its taste, but others said it had a funky aftertaste that ruined the experience for them. Blue cheese is tricky. Either you love it or you hate it. It turns out most of our testers fall into the latter category. One was so turned off by the taste that they spit it out. As the name suggests, this brie was too light, leaving it with not enough flavor. It also became far too soft during our tests, leaving it looking very unappetizing after about 30 minutes. Between that and the lack of flavor, it would not hold up on a cheese board meant to last through a cocktail party. Now, we have nothing against white Stilton, but our testers did not like the addition of apricot chunks. The sharpness of the Stilton and the sweetness of the apricot were too contrasting for our liking. Our testers really didn’t like this cheese. In our expert options, it does not have any real taste or flavor. Some even went as far to say it tasted like trash on the side of the road. Their words, not mine.